Provide comfort for the family of Jordan Hunter with a meaningful gesture of sympathy. Jordan S. Hunter, 32, of Burns, Wyoming, passed away Monday, March 25, 2019 at St. Joseph’s Hospital in Denver, Colorado. Jordan was born September 11, 1986 in Carmichael, California. A graveside service will be conducted on Saturday, April 6, 2019 at 2:00 p.m. at the Burns Cemetery with the family holding a memorial service at the Golden Prairie Baptist Church in Burns at 3:00 p.m. In lieu of flowers please make a memorial offering to Golden Prairie Baptist Church in remembrance of Jordan. 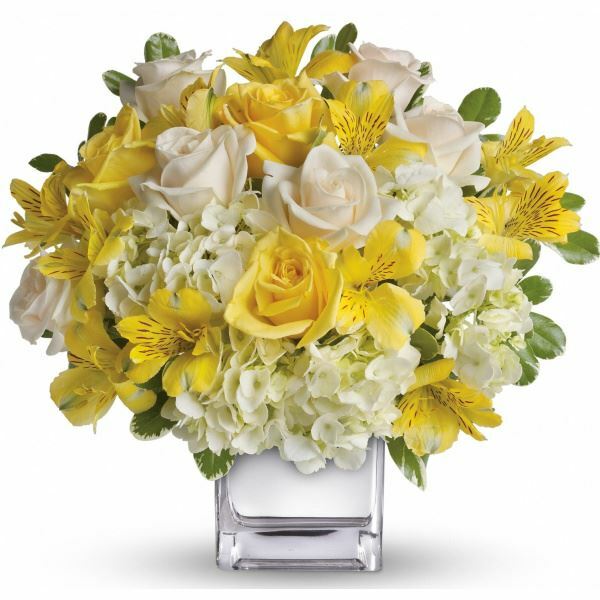 To send flowers in memory of Jordan S. Hunter, please visit our Heartfelt Sympathies Store. A graveside service will be conducted on Saturday, April 6, 2019 at 2:00 p.m. at the Burns Cemetery. Nancy and Sammi sent flowers to the family of Jordan S. Hunter. A was a truly special privilege to have known and to have cared for you.Breath easier. Love, Sammi RN and Nancy RN. St. Joseph Hodp. Nancy and Sammi purchased flowers for the family of Jordan Hunter. My deep deep condolences to the Hunter family: May you reflect on the precious memories of your loved one. Losing a loved one causes much much sadness and pain of heart. So, I would like to share what helped us when our precious daughter died and later when my precious husband fell asleep in death as well. I appreciated the calls and visits from people from different states. But I also, recall just sitting down and reading different Scriptures and meditating on them. It was so comforting to read that God cares for us personally... (1Peter 5:6, 7). Yes, He cares, He sees our pain. And, He Jehovah God will in His due time do away with All sicknesses & death (Isaiah 33:24 & Isaiah 25:8). He is indeed a God of comfort. Oh, wow He promises the hope of seeing our precious loved ones again (John 5:28, 29) and says where (Psalms 37:11). He always keeps His word. I hope that these few Scriptures were of some comfort to you as they were to me. To the Family , I would like to express how sorry to hear of your loss. The pain of losing a loved one is a pain that seemingly never goes away. However, the pain can lessen when we think of what God has promised to do for us. What comfort does he provide us? First of all, at 1 Cor 15:26 it says: "The last enemy that shall be destroyed is death." So God views death as an enemy and will eventually remove death. Secondly, Jesus gave us hope when at John 11:25 he said: "I am the resurrection, and the life: he that believeth in me, though he were dead, yet shall he live:" So there is a chance to see our loved ones again under better conditions. This comfort from the Bible has helped me in dealing with the loss of my father and I hope it will help your family to some degree with your loss.